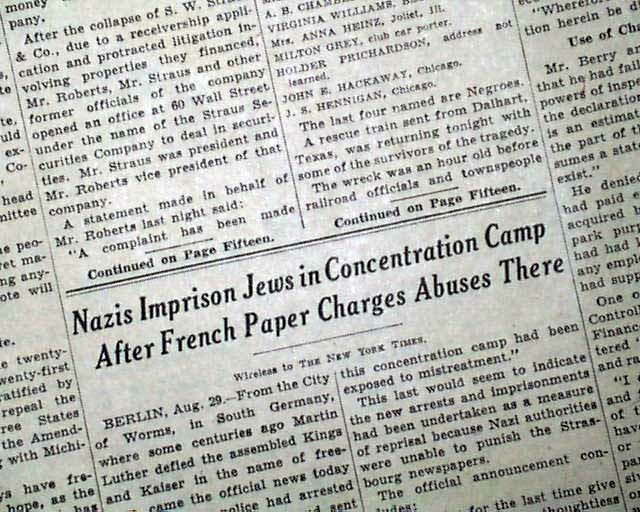 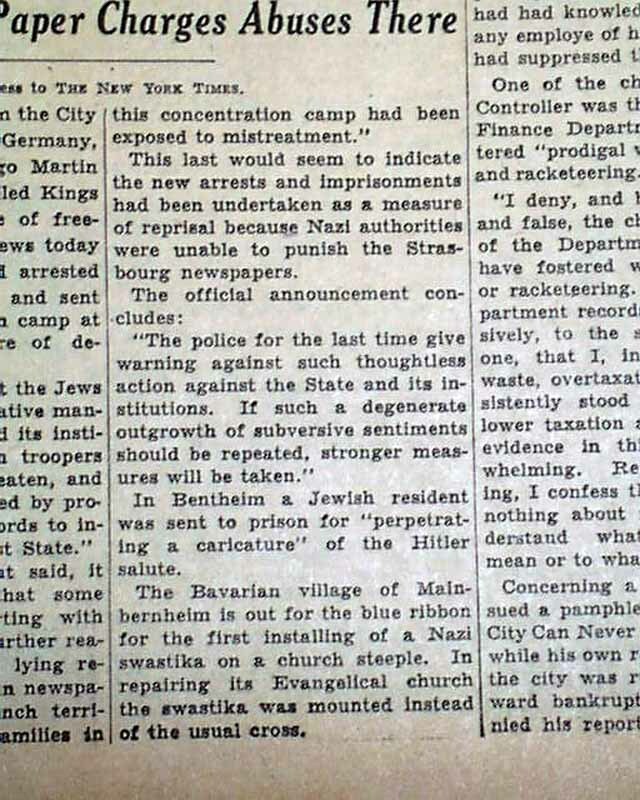 The front page, near the bottom, has a significant report headed: "Nazis Imprison Jews in Concentration Camp After French Paper Charges Abuses There" noting in part: "...The reason given is that the Jews had 'behaved in a provocative manner against the state & its institutions..." with more. 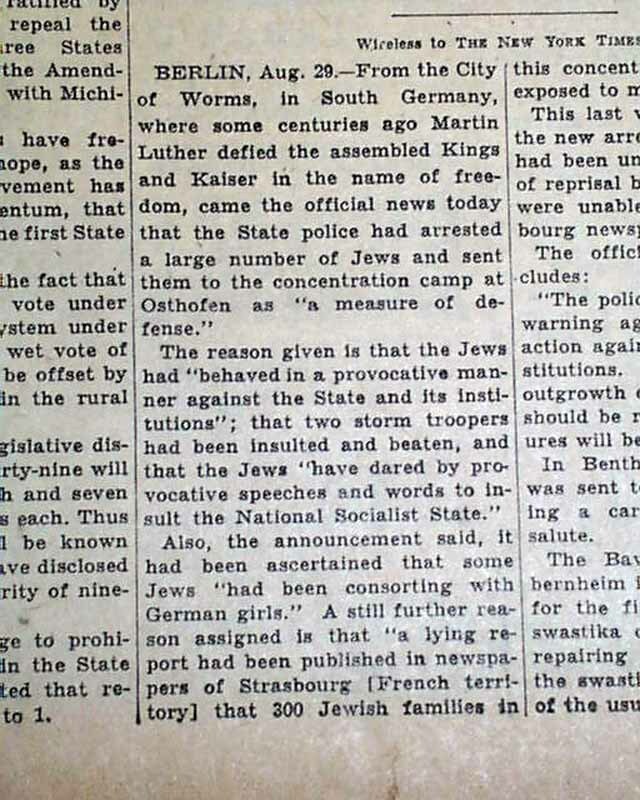 A very early report of Jewish concentration camps, well before the outbreak of WWII. 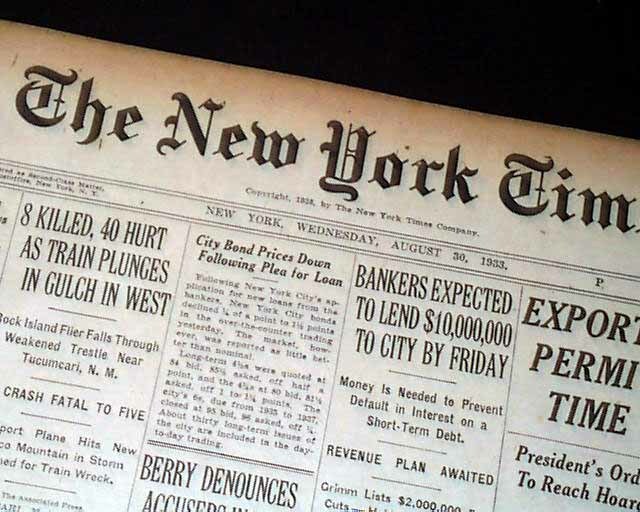 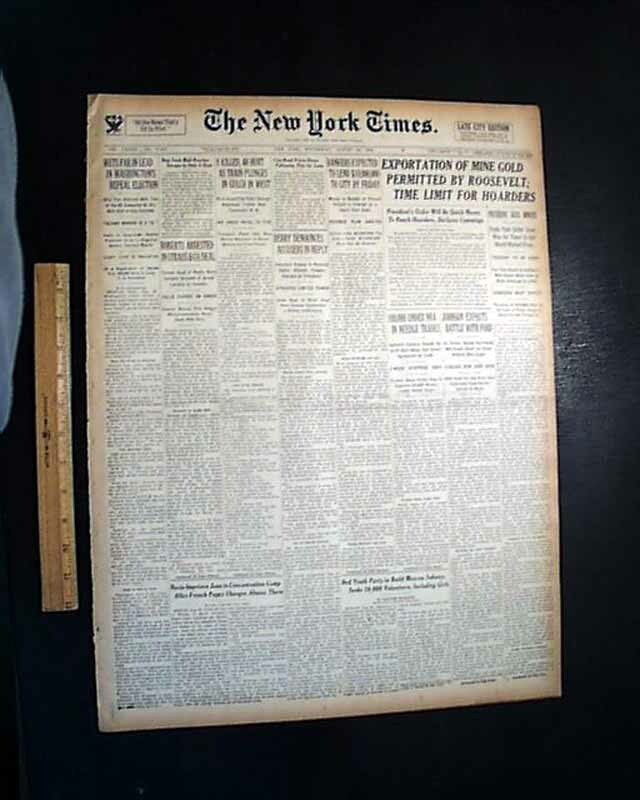 Also on the ftpg: "Exportation Of Mine Gold Permitted By Roosevelt; Time Limit For Hoarders". 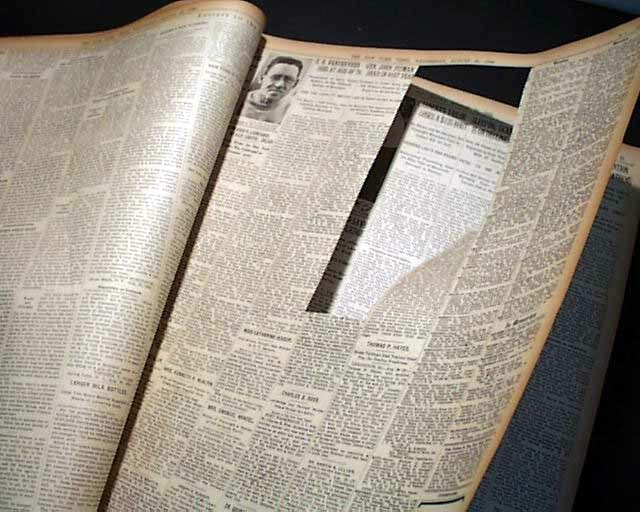 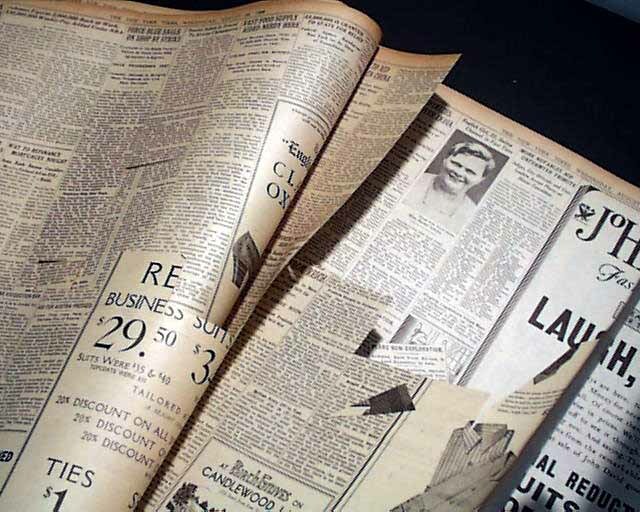 Complete in 40 pages, various cutouts within the pages of this issue but not affecting the front page, otherwise good condition.